Mathias Lessort will take his talents to Unicaja. Unicaja Malaga reinforced its frontcourt with the addition of center Matthias Lessort, who signed a two-year deal on Monday. 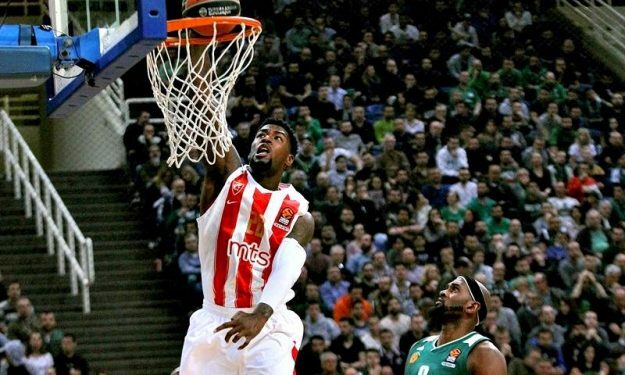 22-year-old Lessort is one of the best young big men on the continent and arrives from Crvena Zvezda mts Belgrade. Last season, in his Turkish Airlines EuroLeague debut campaign, Lessort averaged 8.5 points and 5.7 rebounds, starting in 29 of 30 regular season games. Apart from being a weekly fixture on the highlight-reels, Lessort’s 2.9 offensive rebounds per contest ranked second in all of the competition. Prior to Zvezda, he played with JSF Nanterre of France, helping the team win French Cup and FIBA Europe Cup crowns in 2017. Lessort grew up with a fellow French side Elan Chalon, the club where he also started his professional career after arriving from the island of Martinique. This will be Lessort’s 7DAYS EuroCup debut.